While I have been working various odd jobs this summer, one of which has been weed eating for some friends who live just outside Bend. I know this landscape well for it is within a stones throw of my old stomping grounds. During the days I was working I had been keeping a watchful eye on the Canada Geese in the adjacent pasture. They started out as small fuzzy awkward goslings and have become full fledged manure spreaders and eaters of fresh grass shoots. Thus leaving the neighbors cattle less than thrilled, not to mention the owners. Ah a sigh of relief washes over me as I here my friend say "you're welcome to come shoot some if you like". My eyes must have lit up like saucers as my friend smiled and nodded in agreement. "Really" I said, "that would be o.k. with you"? She assured me indeed it was. I asked about her neighbors whose pasture the geese were residing on and she encouraged me to talk with them and so I did. They are very nice neighbors and certainly interested in getting the geese to reside elsewhere. I mainly wanted to introduce myself and make sure they were o.k. with me shooting as well as for me to recover a goose if it went on their property. Yes to all the above, in fact the wife also hunted with her dad when she was a young girl and enjoys eating geese too. I told them I'd drop off a goose to them after the mornings hunt and they were excited to fire up the Traeger and smoke the goose whole. I felt my body heave a big sigh of envy with the thought of a Traeger smoked Canada goose. I can only imagine how good that will taste. Alright, another savings fund has started for my own Traeger. So it was set, that I was to have my first goose hunt of the season. Let me catch you up on this early September goose hunt. 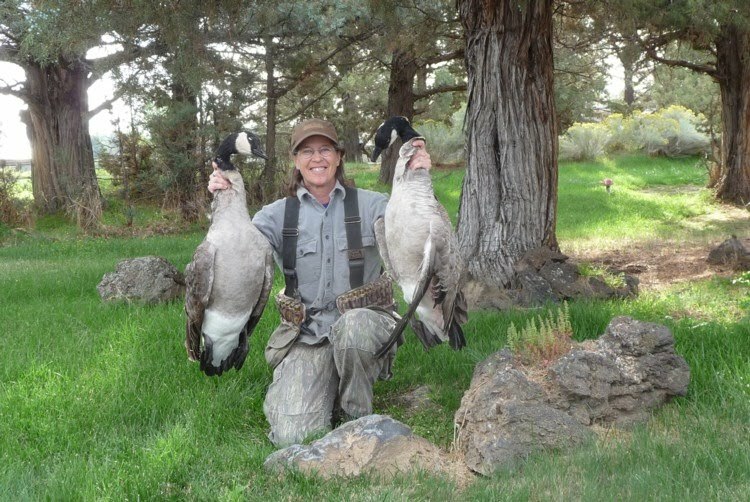 The ODFW has a special Canada goose only hunt for a week in early Sept. to reduce the numbers due to an over abundance of geese. 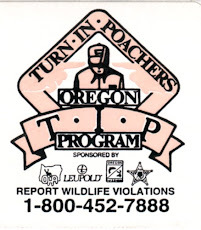 There are only specific counties that the hunt takes place in and it is not statewide. 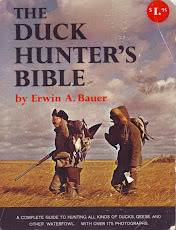 So that's how I was able to hunt geese this month. Now back to my story. I figured it will take me 40 minutes of travel time and then time to grab decoys, headlamp, gun and shells. So that meant a 4 a.m. wake up which hurt a bit just thinking about. Shooting time was 6:10 and I like to have a few minutes to settle in before legal time. Well it all worked well with the exception that the ditch I was planning to lay in now had irrigation water flowing down it, so I had to opt for plan B. which I didn't have but managed to come up with one, being a resourceful hunter and educated in the days of minimalists field comforts. I found a not so comfortable rock crib to hunker behind and threw some camo netting with weeds over me to break up my outline. I had set out 8 G & H standard goose shells off to my left at about 10 to 20 yards away. The mild temperatures found me quite comfortable wearing my chamois shirt and cotton camo bdu's. It was about 55 degrees and all I was missing was another cup of coffee. I had that to look forward to once I got back to the truck. So, I am all dressed up and waiting for the guests of honor to arrive. The morning is slowly waking up as the vroom of cars, trucks, school buses and farm equipment starts to rumble. Horses are knocking on fencing panels impatiently waiting their morning ration of alfalfa and the geese are starting to be vocal off in the distance. My heart quickens with the first true "honk" that rang through the distant junipers. Oh how I love to be affected by my quarry, it's magical! I was facing south and the horizon was thinly veiled in cloud cover. To the north I heard more geese and slowly leaned from out behind the rock crib to catch a glimpse of just where the geese were coming from. It was a pair coming in on a string low and close. They passed by and did a fly by over the neighbors pond, then spotted my decoys. I got ready to roll to my knees and timed it well as they passed by just off to my right. I fired twice and dropped one on the first shot and didn't make a good second shot so away it went, all the wiser. The goose landed by the adjacent rock crib and as I got up to go retrieve it, it was standing and ready to take evasive actions. The pursuit began and eventually I was able to reach out and put my gun barrel on its back to stop it before it got to the neighbors fence line. It was either that or a full fledged tackle. With goose in hand I returned to my make shift ground blind behind the rock crib and waited for the next guests to arrive. It didn't take long and a string of 20 or so came from behind off to my left side. They also knew where they wanted to go and I was able to drop another out of this flock. I again hunkered down hoping that maybe one more group would come by, but none did in more than an hour and a half of waiting. That was it and at 8:45 I picked up my decoys etc. and had to get on with the rest of my days obligations. That cup of coffee was tastier than the earlier cups as I headed out to BLM to pluck and process the birds. Then stopped at the neighbors to thank them and give them a previously processed goose from this past season for their Traeger. Also tossed in a White fronted goose as they have never eaten one of them. Told them that was the fillet mignon of the goose world, none better. What a great morning and I was ready to continue with the final weed wacking of the season. All in all a spectacular day full of everything I enjoy doing, yes even weed wacking. In approximately 2 weeks I will be out on my Buck only deer hunt. Close to home and sleeping in my own bed, not such a bad deal. Til then enjoy each day and may your shots ring true.